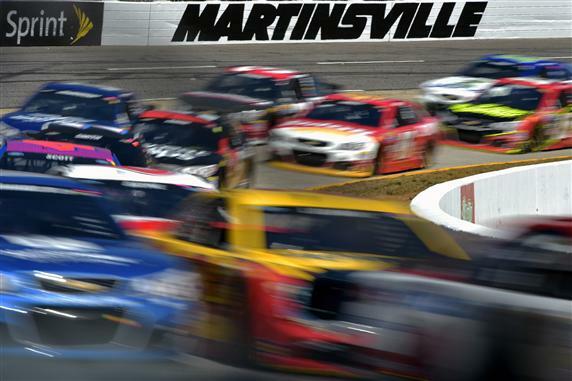 Miss any of the on and off-track action at Martinsville? Every Tuesday our Amy Branch breaks down the big storylines from the weekend. 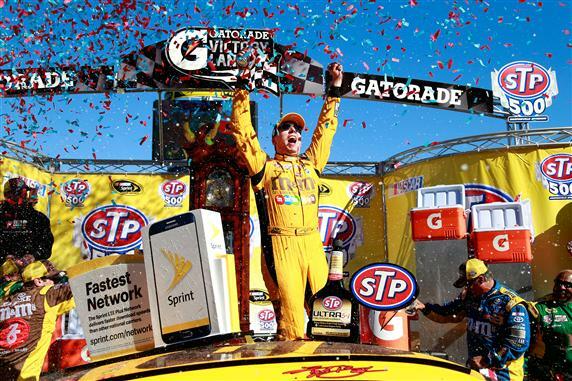 It's been a year of firsts for Kyle Busch, and this weekend was no different. Heading into Martinsville, Busch was 0-for-30 at the short track. He made up for it at the track known affectionately as The Paper Clip by winning not one, but two grandfather clocks. He pushed past John Hunter Nemechek on Saturday to take his first Camping World Truck Series win in 2016 and his first grandfather clock ever. On Sunday, Busch took home his first Sprint Cup win of 2016, virtually guaranteeing him a spot in this year's Chase to defend his championship. Oh, and that second clock. In fact, Busch dominated both races this weekend — he led 123 of the 255 laps during the Alpha Energy Solutions 250 on Saturday and 352 of 500 laps during the STP 500. 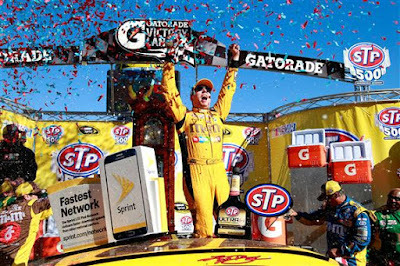 Is 2016 the year of Kyle Busch? This year's rookie field is nothing short of outstanding. Chase Elliott and Ryan Blaney are comfortably in the top 20 in Sprint Cup points, 15th and 16th respectively. Elliott, driving the No. 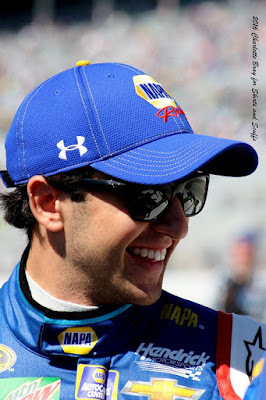 24 for Hendrick Motorsports, has racked up three top tens, and Ryan Blaney, driver of the No. 21 for the Wood Bros., has two. The two young drivers are the favorites to win 2016 Rookie of the Year. Currently, Elliott stands atop that ranking, but Blaney is only four points behind, and Brian Scott isn't far behind him. We haven't begun to hear the last of these young men. 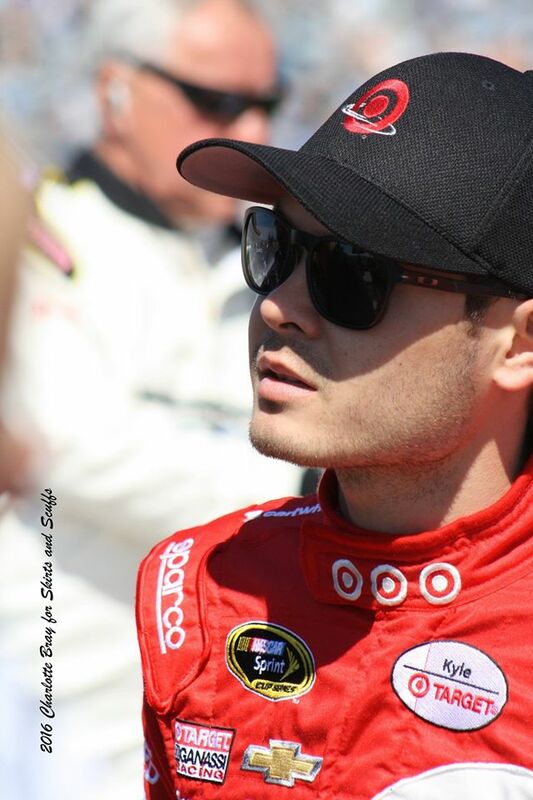 Kyle Larson. Austin Dillon. AJ Allmendinger. Brian Vickers. These are not names you would normally see among the top 10 of a race, but Martinsville gave these drivers a chance to get closer to Victory Lane. Larson and Dillon have both made significant improvements this year, particularly Dillon. The grandson of car owner Richard Childress, Dillon has had one pole, two top-five, and four top-ten finishes in the first six races of 2016. He finished fourth on Sunday. Larson, driver of the No. 42 Chip Ganassi Racing Chevy, can almost smell victory lane. Although his finishes don't make it apparent (Larson has just one top-five and two top-tens this year), the young phenom has been battling the best at the front of the field all season, and finished third behind AJ Allmendinger on Sunday. A win is in sight for these two. Allmendinger and Vickers both finished well in the STP 500; Allmendinger with a career-high of second at the track and Brian Vickers, subbing for an injured Tony Stewart in the Stewart-Haas Racing No. 14, came in seventh. Dale Earnhardt Jr. is serious about athletes and concussions. So serious, in fact, that he tweeted off-the-cuff this week that he would be donating his brain for scientific research so that the effects of multiple concussions on brains can be studied on his cerebral tissue. 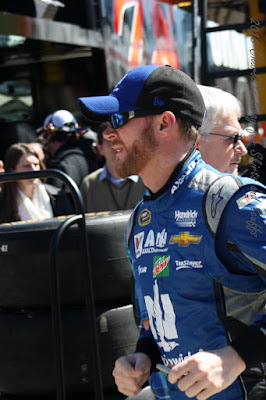 Earnhardt missed two races in 2012 after getting two concussions in a six-week period. In the last few years, the conversation about brain injuries and professional sports has gotten a significant amount of attention, and Earnhardt and several other athletes recently pledged to donate their brains for scientific research. "It was something that I didn't have to ask myself whether I wanted to do it or not," Earnhardt said. "Going through that process in 2012 I learned so much and have so much respect for the work that those doctors are doing and really were inspired by some of the athletes that have pledged their brains before me. I'm going to give up all the organs that are worth anything when it's over with. They can have it all." On March 31, six-time champion Jimmie Johnson sent a seemingly innocuous tweet about bringing back the yellow on his No. 48 Lowe's paint scheme. The highlighter-yellow 48 is iconic, and Johnson won five championships in a row with that yellow 48 on his door and roof. Fans lit up Twitter with #BringYellowBack. On April 5, Lowe's Racing announced the yellow 48 is back and here to stay, debuting this weekend at Texas Motor Speedway with the tag "It's more than just a number." Could Jimmie believe that painting the 48 yellow again might help bring about championship number seven? Well, as the Bud Light commercial goes, "It's only weird if it doesn't work." Nemechek is a storied name in NASCAR. "Front Row" Joe Nemechek is John Hunter's dad, and the young man could not have a better teacher. The elder Nemechek is a NASCAR legend, with a total of 20 wins in the the top two series, and an XFINITY championship since he began racing in NASCAR in 1989. Now his son is making waves; John Hunter drives for NEMCO Motorsports, a team owned by none other than his father. 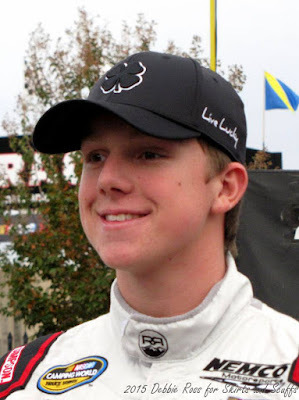 He won at Atlanta Motor Speedway, making him eligible for the Camping World Truck Series Chase, an incredible feat given that before this season, the young Nemechek only had 30 career Truck Series starts. He credits his success to the decades worth of racing knowledge he's received from his father and his veteran crew chief, Gere Kennon. Perhaps the most remarkable part is that NEMCO Motorsports is a single-team, family-owned shop. Getting funding is a challenge every week, even for NASCAR legends, but this little team works every possible moment to stay above water -- and to keep winning.